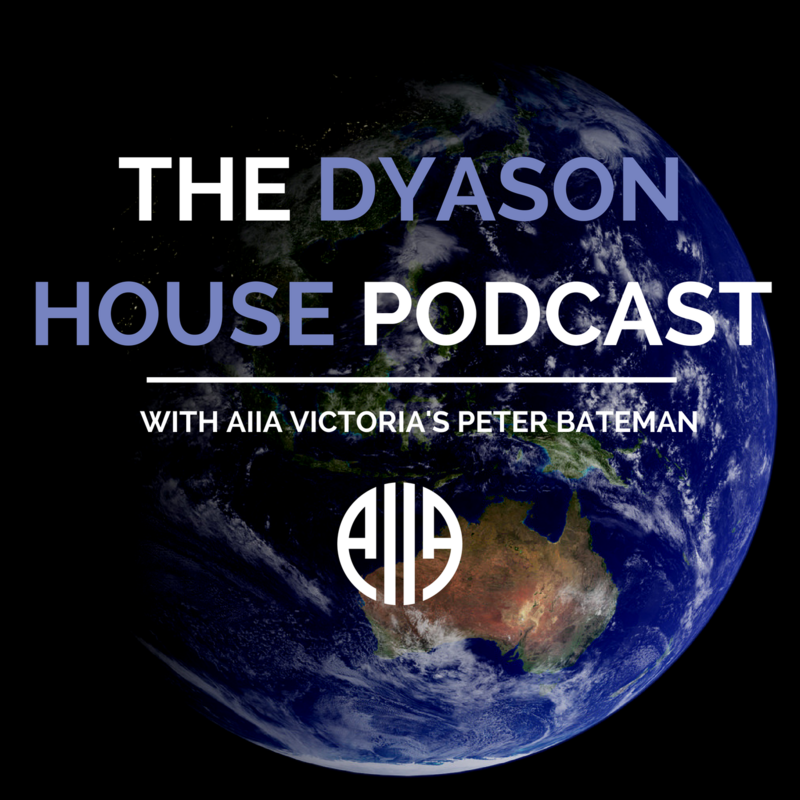 The Dyason House podcast is a place to discuss the past, present and future of the international world, and how to break into the fields that will change it. Available now both here and on iTunes. Make sure to subscribe so you never miss an episode! In the final episode of Season 2, we’re joined by Associate Professor Barbara Keys of the University of Melbourne. Barbara is a historian of international affairs, and the author of two books – Reclaiming American Virtue and Globalizing Sport. In 2019, she will serve as the president of the Society of Historians of American Foreign Relations. This week, we discuss human rights and sports diplomacy. This week we’re joined by award winning expert on North Korea, Jean Lee. Jean currently serves as Director of Hyundai Motor Korea Foundation Centre for Korean History and Public Policy at the Woodrow Wilson International Centre for Scholars. She also led the Associated Press’ coverage of the Korean Peninsula between 2008 and 2013, becoming the first American Reporter granted extensive access on the ground in North Korea, and opened the Associated Press’ Pyongyang bureau in 2012. In episode 7 we are joined by Walkley Award Winner Rowan Callick. Rowan has worked as a China Correspondent and Asia-Pacific Editor to the Australian Financial Review and the Australian, and was awarded an OBE in 2014. This week we discuss his experiences as a foreign correspondent, and the rise of China. This week’s episode features Jean Dunn, currently Director Indo-Pacific of the Centre for Political and Diplomatic Studies and formerly Australia’s ambassador to Turkey and Azerbaijan, Lebanon, Poland, the Czech Republic, Lithuania and Ukraine. In 2016, Jean was presented with the Public Service Medal by the Governor General for her services during the aftermath of the downing of Malaysia Airlines flight MH17 in 2014. We discuss what it takes to be a successful career diplomat, and the MH17 crisis. This week’s episode features Stephanie Woollard, founder and director of Seven Women. Stephanie began Seven Women at the age of 22 after meeting disabled women working in a tin shed in Kathmandu, Nepal. With her last $200, she paid for trainers to teach the women how to produce products for sale, and has now assisted over 5000 women in this way. She’s also founded a cooking school in Nepal, as well as a responsible travel company named Hands on Development, and in 2016 received the United Nations Rotary International Responsible Business Award. We discuss how anybody can make a difference through social entrepreneurship. Professor Damien Kingsbury of Deakin University joins us for episode four of the Dyason House Podcast. Professor Kingsbury is also Deputy-Chair of the Balibo House Trust and a board member with the Australia Myanmar Institute. This week’s episode focuses on his experiences as an adviser to the Aceh peace talks, which democratically ended three decades of war. Episode three features Dr Kym Brown, a Senior Lecturer at Monash University in the Department of Banking and Finance. Dr Brown has published works relating to Islamic finance, Chinese banking, developing developing country finance, and crytocurrencies. She joins us to discuss cryptocurrencies, the banking system and international trade. Bart Hogeveen joins us for episode two to discuss the role of cyber affairs in international relations. Bart is currently in charge of cyber capacity-building programmes at the International Cyber Policy Centre at the Australian Strategic Policy Institute. Bart has also previously worked at the Dutch Ministry of Foreign Affairs and Department of Defence, as well as a number of NATO and EU missions. Season 2 begins with Professor John Langmore of the University of Melbourne. Having began his career working in Papua New Guinea in the lead up to its independence, then becoming elected to the Australian House of Representatives, and later working at the United Nations, Professor Langmore provides a wealth of knowledge in international affairs. This week’s episode provides an overview of his experiences. With 42-years’ service in the Australian Department of Foreign Affairs and Trade (DFAT) former ambassador John Woods has served the interests of Australia in Europe, The Middle East, Asia, North Africa and the Americas. His storied career and wealth of experience makes John one of Australia’s most knowledgeable authorities on life as an ambassador. Full of information on the path to becoming an ambassador and the realities of holding the honour for your country, Season 1’s final episode is not to be missed. Thank you to all who have followed a long for since April and make sure to check back in August for Season 2! Reporting on the ground in Iraq and Indonesia, and liaising with Fairfax correspondents in the field as Foreign Editor, Michael Bachelard knows every detail of life as a foreign correspondent. Find out what it takes to get a job as a foreign correspondent and to live as one in places as varied as the Middle East to Europe. An essential listen for those with aspirations of foreign correspondence. Tim Wright talks with the DH podcast on how we as a human race are moving toward complete denuclearisation. Tim works as the Treaty Coordinator for the International Campaign to Abolish Nuclear Weapons (ICAN), who played the major role in garnering the signatures of 120 nations for the UN Treaty on the Prohibition of Nuclear Weapons, and consequently awarded the 2017 Nobel Prize for Peace. We discuss why countries like the UK, US, China, France, Russia and even Australia have refused to sign; along with recent events in North Korea and the Singapore Summit; the US decision to pull out of the UN Human Rights Council; and as always how to start a career as a activist or campaigner. Politics, it’s at the heart of everything, from persecution to prosperity, war or peace, justice or injustice – how governments govern affects us all. Michael Brissenden is one of the few tasked with holding governments accountable. A Walkley Award-winning foreign correspondent and political reporter, Michael has reported on how the world works throughout Europe, the Pacific, North America, the Middle East and Australia. If you’ve dreamed of being a political reporter, foreign correspondent, politician or have the slightest interest in politics, you’ll enjoy every second of this fast-paced conversation. Michael discusses his career journey, why we should all care about politics and tips for aspiring political reporters and foreign correspondents. Want to work for the United Nations? Professor Ian Howie details how he achieved his dream of landing a job with the organisation that constitutes humankind’s best effort to make the world a better place. Ian spent 40 years with the UN and he knows what it takes, what to expect and where a career with the United Nations can take you. 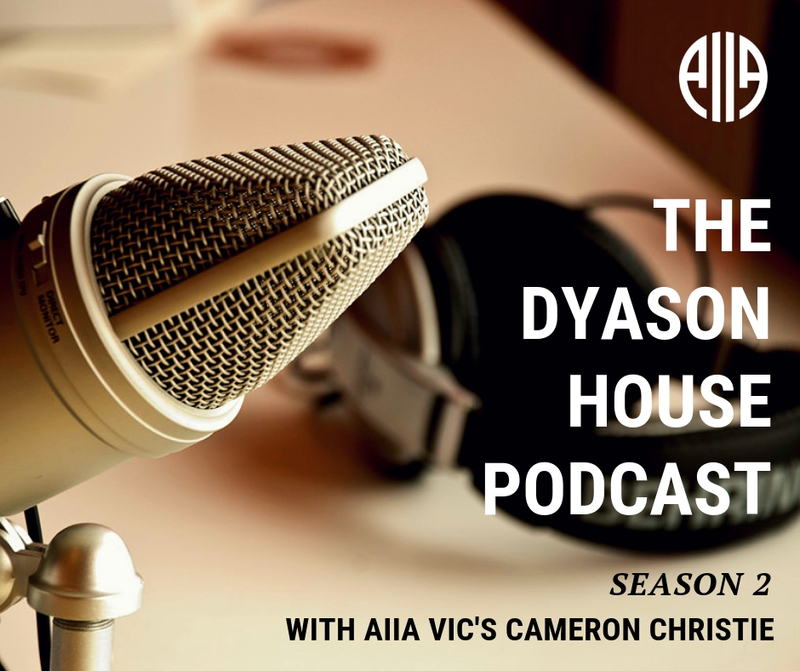 Make sure to grab a note book and enjoy this week’s episode of the Dyason House Podcast, it might just set you on the path for an international career. Lessons in humility and the importance of understanding your enemy. In Northern Ireland, Iraq, the Balkans and Sierra Leone, retired British military commander Richard Iron has spent a lifetime in counterinsurgency. In this episode Richard takes us through his role as Chief Mentor to Basra Operations commander in the 2008 battle for Basra, Iraq, and how his military career prepared him to take on a faceless enemy. ABC Middle East correspondent Matt Brown is a four time Walkley Award winner and courageous front-line journalist. We discuss Matt’s journey from a student journalist covering Papua New Guinea, to hiking illegally over the Syrian border during civil war. It’s a rare insight into what it’s like to report from some of the toughest locations on the planet and how to land a job doing it. Engineer, scholar, consultant, author; humanitarian aid worker Dr Denis Dragovic has done it all. In this episode we talk about what it’s like to be an aid worker in general, as well as tough situations like war zones. Denis also shares some tips on how to pursue your own career in the aid industry and some of the problems that the industry currently faces. Christopher Lamb retired from a career in diplomacy spanning over 30 years, including as the Australian Ambassador to Myanmar. In this episode, Peter Bateman and Christopher Lamb discuss the history of the Rohingya people, and the realities of the current crisis, getting into details that often don’t make the news. Click on the title above to listen to our first Dyason House podcast.